"It's no wonder that Mexican peasant brigades were able to beat the pride of the French army in the battle of Puebla on May 5 (Cinco de Mayo), 1862... the angels were on their side." 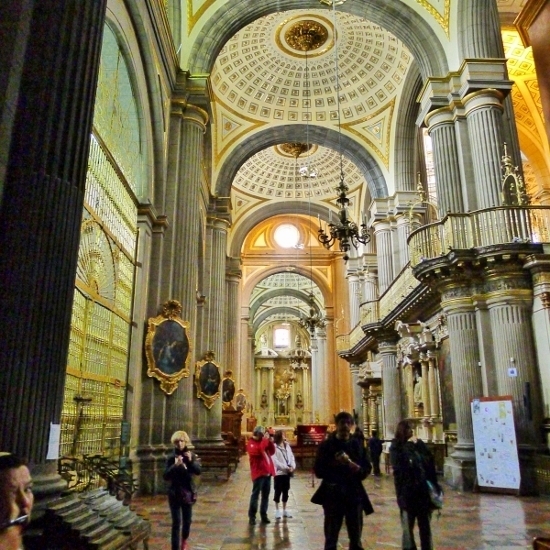 Puebla's baroque-style cathedral is one of the largest in Mexico. It's 1531, a decade after the Spanish conquest of Mexico, and a Dominican bishop wants to build a cathedral in a gorgeous valley. In a dream, angels show him a great spot for it, and he sets out to build his cathedral there (and while he's at it, a whole new city). Legend has it the angels not only brought holy inspiration to the project, but the latest surveying techniques as well. It's said they used string lines to lay out a grid of streets accented by parks and fountains, all surrounding blocks where the cathedral would be built. But as things turned out, it took 44 years to wade through the red tape to get the green light to build the cathedral. Actual construction took quite a while, too. Finally, much of the cathedral's interior was completed and its two 200-foot-high towers were ready to welcome the masses. One problem remained: how to get an 18,000-pound bell up to the top of one of the towers (the other was bell-less). Sure enough, the angels showed up again and raised the bell. As a way of saying thanks to their cherubic helpers, the city was named Puebla de los Angeles (City of the Angels). 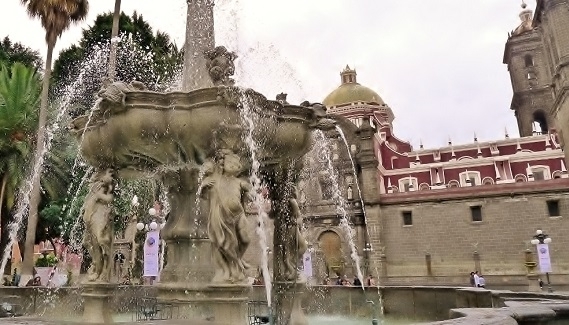 Downtown Puebla is a jump back in time to colonial Mexico. Fast forward to 1862, and an invading French army on its way to Mexico City from the eastern port of Veracruz halts just outside the angelic city, about 135 miles inland. It's a glorious day, and the French dress up in their most colorful uniforms. Bugles blast out l'attaque - the signal to attack the twin forts guarding the city - and thousands of chasseurs, zouaves and other troops charge up the hill under guidons and pennants dancing at the end of their officers' lances. They end up getting clobbered by the greatly outnumbered rag-tag Mexican peasant brigades defending the city under the command of General Ignacio Zaragoza. Mexican President Benito Juarez honored the victory by changing the name of the city to Puebla de Zaragoza. Years later the name was shortened to just Puebla, but the city - today the fourth largest in Mexico - is popularly known among the 6 million people living there by its original nickname, Angelopolis. Al fresco restaurants line the streets of Puebla's historic district. 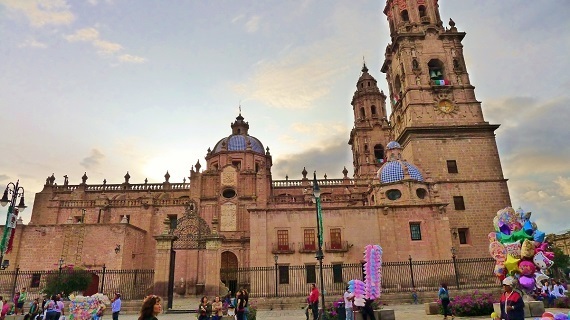 Outside Mexico, Puebla may be best known for the battle in 1862. It was on the 5th of May that year - giving rise to today's annual Cinco de Mayo celebrations. An historical footnote: In Paris, Emperor Napoleon III was furious when he heard about the defeat of his army. The following year, he sent 27,000 reinforcements to Mexico for what turned out to be a two-month siege of Puebla. On May 17, 1863, the out-numbered, out-supplied and out-gunned Mexican troops - who by then had eaten their horses, dogs and cats and were mainly getting by on boiled leaves - finally threw in the towel. The French left three years later.